Get an updated resume and a resume which contains no grammatical or other spelling mistakes include your contact information and other details verified and up to date , in some cases you may need the cover letter also. Get a comprehensive history of your previous jobs and their start and end dates as well and previous jobs and your roles in them, if necessary the salary details and the previous employers details may also be asked, you should be in a position to provide them. Keywords in a short time grab the attention of the reader and conveys a bigger meaning in a short and efficient way, moreover as the resume does not contain more than two pages of information try placing the keywords at appropriate locations so as to improve the readability and efficiency of your resume. Try to create accounts on the famous job portals and enroll yourself in them, by doing so you can choose your preferred job and also choose specifications but try to be careful in mentioning your skills and abilities because of the sheer volume of the users your resume can go into the winds if you don’t mention them properly. 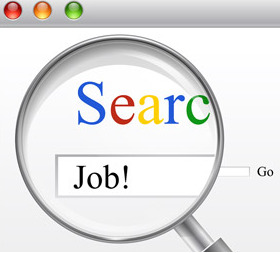 You can also apply for jobs on the company websites directly if you are looking for specific companies and upload your resume this is the most direct way of applying for jobs. Whenever you are applying online try to take care of the instructions before applying for the jobs and upload your resume and fill in any details exactly as they are asked.